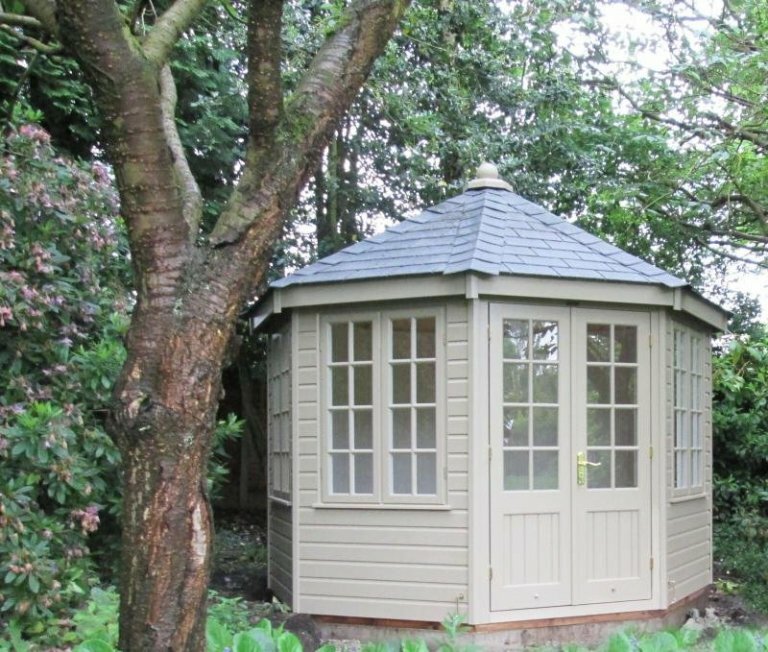 This naturally attractive garden building is our octagonal Wiveton Summerhouse: it has been installed to overlook our customer’s large garden in Altrincham, Cheshire to use as a garden retreat for the family to enjoy. Grey slate effect tiles have been used on the roof to give it many years of durable protection: these tiles give the look and colour of slate, but without the expense or weight. Taupe is one of the newest colours in our Valtti colour range, and we think it looks really natural against the backdrop of their garden. Valtti is an opaque, multi-layered paint system that has a long re-decoration cycle, depending on your local conditions. 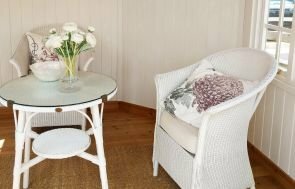 I'd just like to say how great our Wiveton Summerhouse is. Both my wife and I think it looks great and fits beautifully into the garden. We were most impressed with your fitters and the electricians. Georgian windows add a traditional, country feel to the summerhouse, and inside there is full insulation to encourage prolonged usage, and painted matchboard lining on the walls. If you’re looking for a year-round building, double glazing and an electrical pack are also available option choices on this building. 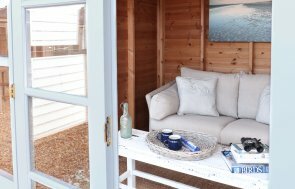 For more information on our range of Summerhouses, you can call us on 01760 444229 to speak to our expert staff, or you can send us an online enquiry form to ask us any questions you have.